Pictures are of a similar floor plan. 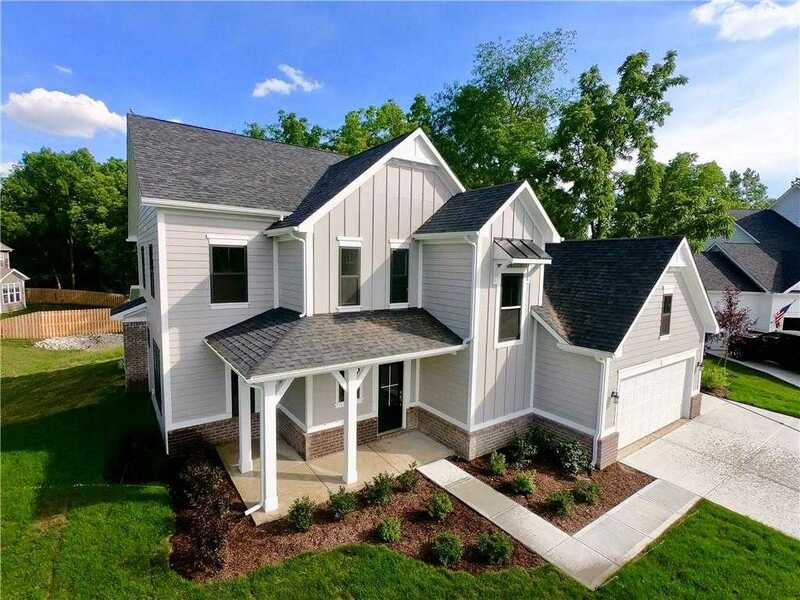 Amazing opportunity for a newly constructed 4 bedroom 2 1/2 bathroom home with the master suite on the main level! Cul-de-sac lot on almost 1/2 acre! Spacious open concept living area is fantastic for entertaining and line of site for everyone to be involved. Luxury Master suite has 2 walk-in closets, large tiled walk-in shower, double sinks and tray ceiling with convenient access to the laundry room. Kitchen boasts a large center island, walk-in pantry and beautiful natural light from the morning and family rooms. All bedrooms have walk-in closets – bonus areas include a huge loft and a separate flex room. Covered patio and porch . . . builder has thought of everything! Currently under construction. Please, send me more information on this property: MLS# 21613585 – $396,000 – 1115 Freshwater Lane, Cicero, IN 46034. I would like to schedule a private showing for this property: MLS# 21613585 – $396,000 – 1115 Freshwater Lane, Cicero, IN 46034.